What movies are coming our way after Avengers: Endgame? A burning question with at least some answers. 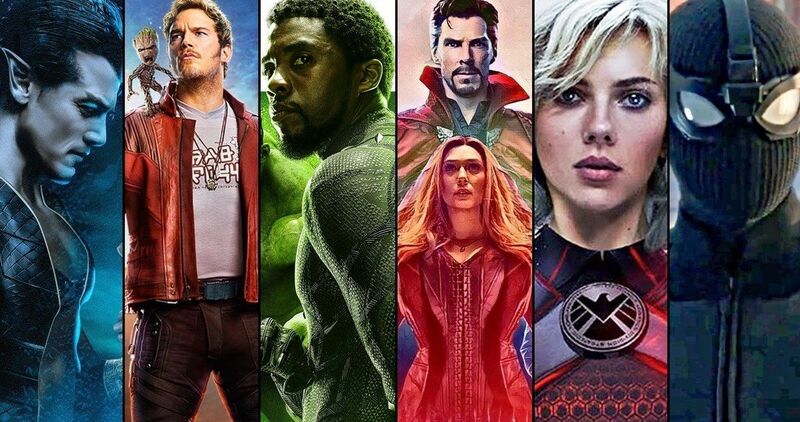 The Marvel Cinematic Universe has been going strong for more than a decade now and has more than 20 movies under its umbrella. Captain Marvel has been racking up the dollars at the box office recently, which is already well on its way to crossing the $1 billion mark worldwide. With that, it would seem this grand experiment that started in relatively humble fashion with Iron Man back in 2008, is showing no signs of slowing down whatsoever. Next up on the MCU roster is Avengers: Endgame. This serves as the conclusion to the tale being told within this interconnected universe thus far. Both Marvel Studios President Kevin Feige and directors Joe and Anthony Russo have made as much clear. The question at this point is, what can we expect beyond Avengers: Endgame? Infinity War left us with one of the biggest cliffhangers in cinematic history following Thanos’ deadly finger snap. The resolution to that cliffhanger will contain many secrets and reveals, no doubt. Marvel Studios has been very cagey regarding their plans for the MCU beyond Avengers: Endgame. Still, certain projects have made themselves known to us and, with that in mind, here are the movies we know are coming during the next phase of the MCU. This is the only movie actually announced and 100 percent confirmed beyond Avengers: Endgame. It’s already been shot, with Jon Watts back in the director’s chair following Homecoming. This one sees Tom Holland’s Peter Parker on a European trip with his classmates, where he’ll encounter fan-favorite villain Mysterio, as portrayed by Jake Gyllenhaal. This one has the dubious honor of having to come right after the surely epic follow-up to Infinity War, which is no easy task. Good luck, Spidey. This is one that perhaps should have happened a long time ago. We can debate the finer points of that at a later date. In any event, the Black Widow solo movie is finally happening. Scarlett Johansson will reprise her role as Natasha Romanoff in addition to producing the movie, which is set to be directed by Cate Shortland (Lore). Kevin Feige has talked about this project openly, so it’s absolutely coming, even though there hasn’t been any sort of formal announcement as of yet. This movie is expected to begin production soon and will likely be the first MCU title to hit in 2020. Here is another one that Kevin Feige has talked about a bit in interviews, meaning it’s pretty much a sure thing. The Eternals will be based on Jack Kirby’s comic book of the same name and will further expand the cosmic side of the Marvel Cinematic Universe. It will center on two very different and powerful races in a long war with one another in the cosmos. Word is this one will be truly epic in scope and could span thousands and thousands of years. Chloe Zhao (The Rider) has been tapped to direct. While Marvel hasn’t come right out and said this one is happening, it’s happening. The first Black Panther grossed $1.3 billion worldwide and won Marvel Studios their first Oscars, even earning a Best Picture nomination. There are few bets as sure as Black Panther 2 in the future of the MCU. Ryan Coogler is set to return to the director’s chair, with Chadwick Boseman set to reprise his role as T’Challa. It’s also a pretty safe bet that Marvel will try and get this one going as soon as they possibly can. The big rumor is that Namor will be teaming up with T’Challa this time around. A bit of a different situation here. Doctor Strange was released in 2016 and, for a pretty bizarre character few people had heard about prior to the movie, it did quite well. Benedict Cumberbatch has since reprised his role as Stephen Strange several times in Infinity War and Thor: Ragnarok. However, the Sorcerer Supreme hasn’t yet had his own solo sequel. That’s going to change in a post-Endgame landscape. Scott Derrickson is set to return to direct and we’re likely going to see Chiwetel Ejiofor back as Mordo. And, if writer C. Robert Cargill has his way, we’re going to see the villain Nightmare brought to the big screen. Black Panther showed Marvel Studios that they could take certain risks and try new things. If executed well, underserved audiences will turn out in droves. Enter Shang-Chi. This will be a martial arts movie set within the MCU with an Asian protagonist in the lead role. Destin Daniel Cretton (Short Term 12) was recently hired to direct the adaptation, working from a script by Dave Callaham (Wonder Woman). This was actually a movie confirmed very early on for Phase 4 and, had things gone according to plan, it would have started shooting in January. However, James Gunn, who helmed the first two Guardians movies, was fired after some old, offensive tweets resurfaced online, delaying the project indefinitely. Well, Gunn was recently rehired in a surprising turn of events and Guardians of the Galaxy Vol. 3 is back on track. Gunn will first wrap up his commitments on The Suicide Squad for DC, then will refocus his efforts on Star-Lord, Gamora, Drax, Rocket, Groot and the gang. Unfortunately, we’re going to have to wait a while for this one, but with Gunn back on board, it’s going to happen the right way, which is important. There are plenty of other rumored projects, ranging from an R-rated Blade movie to whatever ends up happening with the X-Men and Fantastic Four once Disney takes over. That leaves an awful lot of room for the MCU to expand in new and interesting directions in the future. For now, this is what we know but there will, undoubtedly, be plenty of surprises we can’t possibly see coming just yet. Who knows what exciting secrets Marvel is hiding up its sleeves?